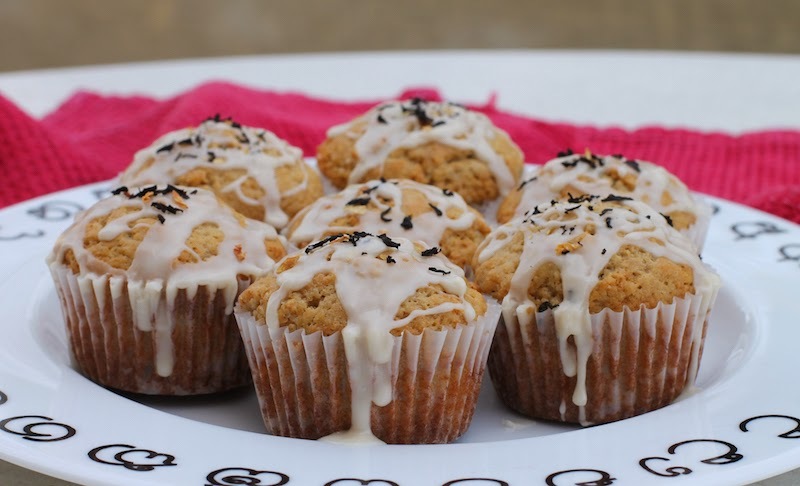 One great way to add flavor to a muffin is to use flavored teas in the batter. 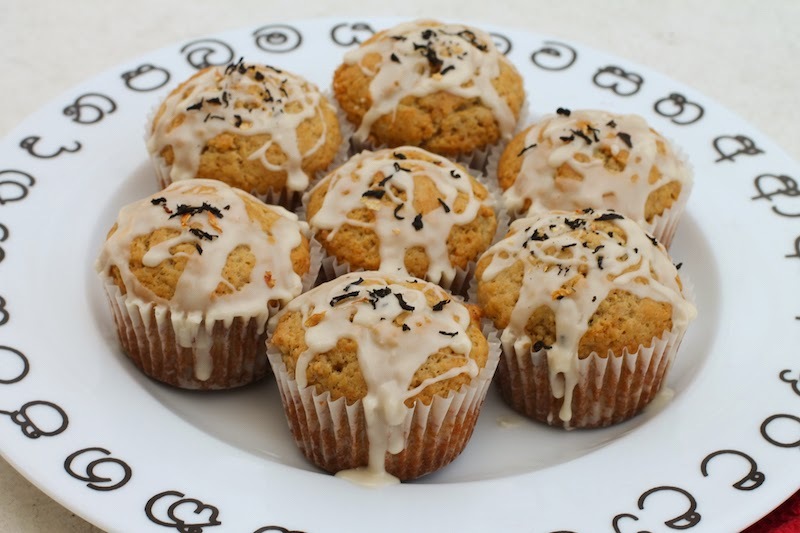 Brew the tea with piping hot milk and add some more loose tea to strengthen the flavor profile to make a tasty muffin. This week I am in Michigan, spending time with a dear friend who owns a teashop filled with hundreds of loose teas in a variety of flavors. My favorite part of coming here is hanging out with her in her shop because she is constantly plying me with tea to sample, as we chat and catch up. 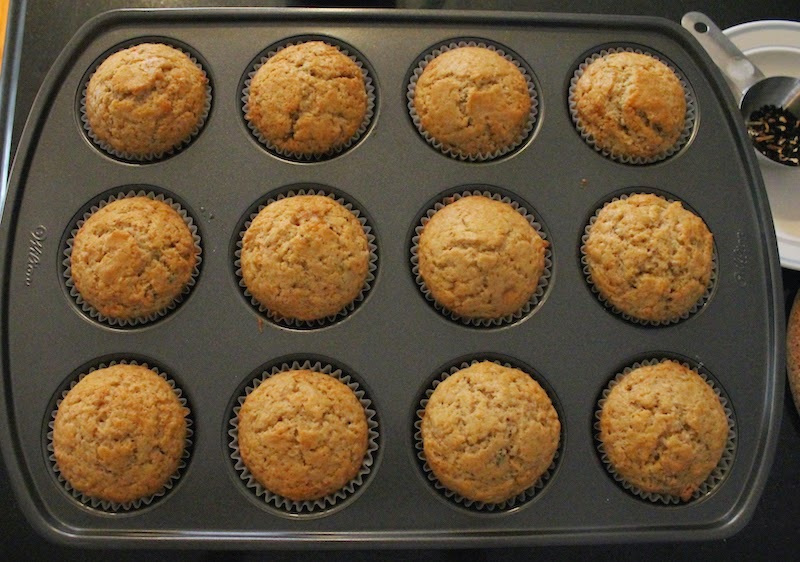 I deliberately didn’t make my muffin for today before I arrived because I also love baking with her tea, something I don’t think to do often enough at home. 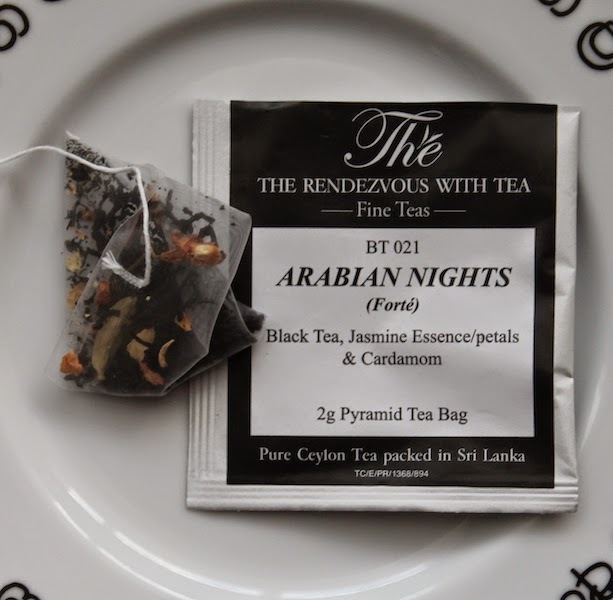 Today I chose one of her special blends called Arabian Nights, which mixes black tea with jasmine petals, jasmine essence and cardamom. The aroma is spectacular! 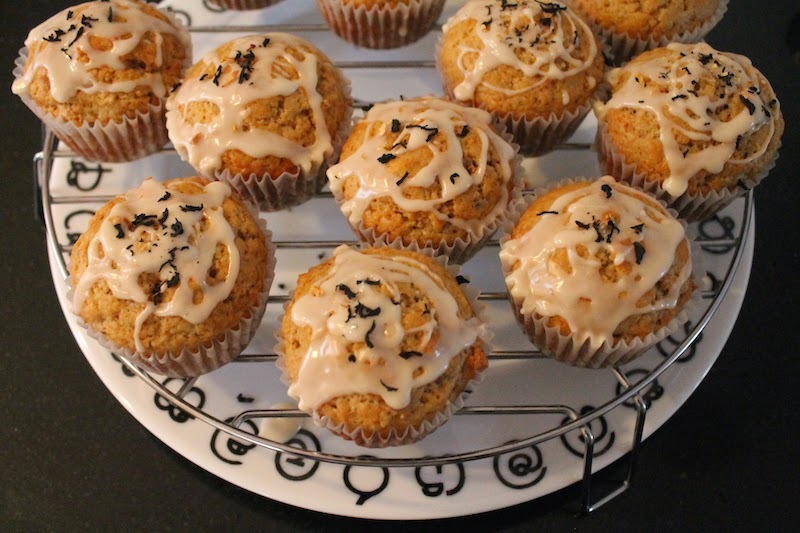 If you have a special tea you enjoy, I encourage you to try baking with tea as well. Bring your milk to a boil and put the teabags in to steep. 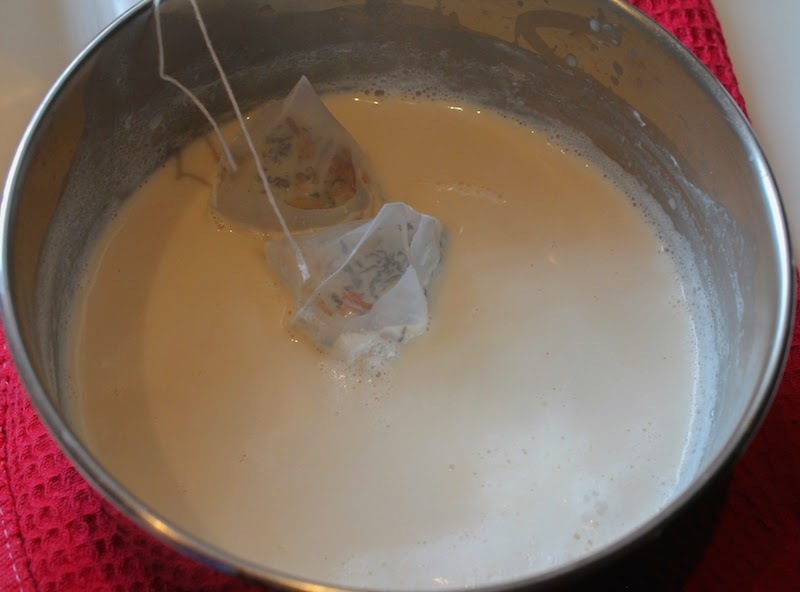 Leave the teabags in till the milk is cool then remove them, making sure to squeeze the milk out before discarding them. 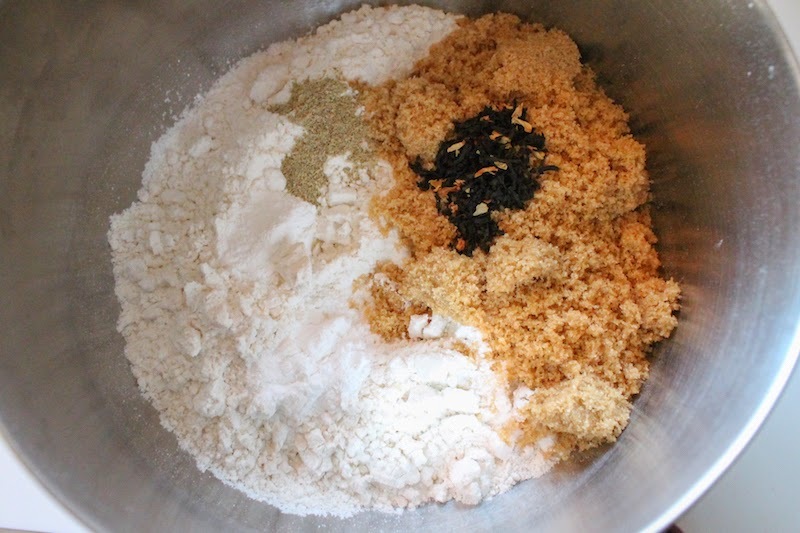 In a large bowl, mix together the flour, brown sugar, baking powder, loose tea and salt and stir well. 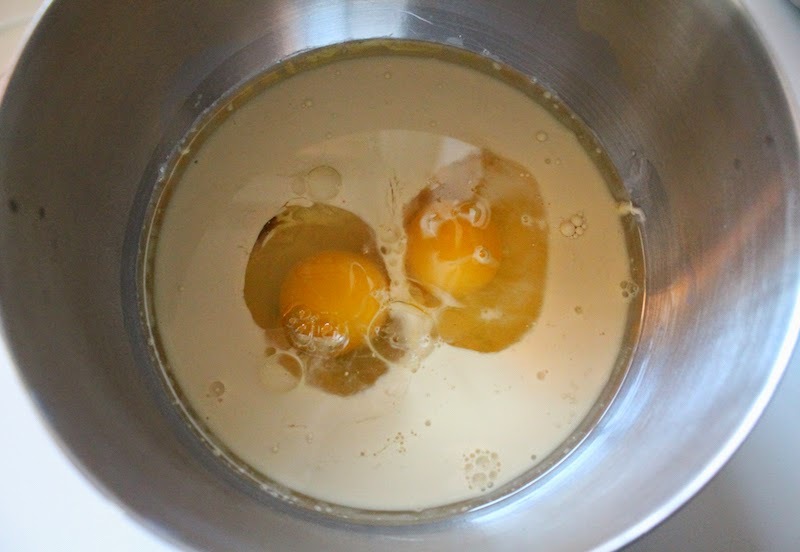 Reserve one tablespoon of the tea-infused milk for the glaze and then put the rest in a small mixing bowl with the oil and eggs. 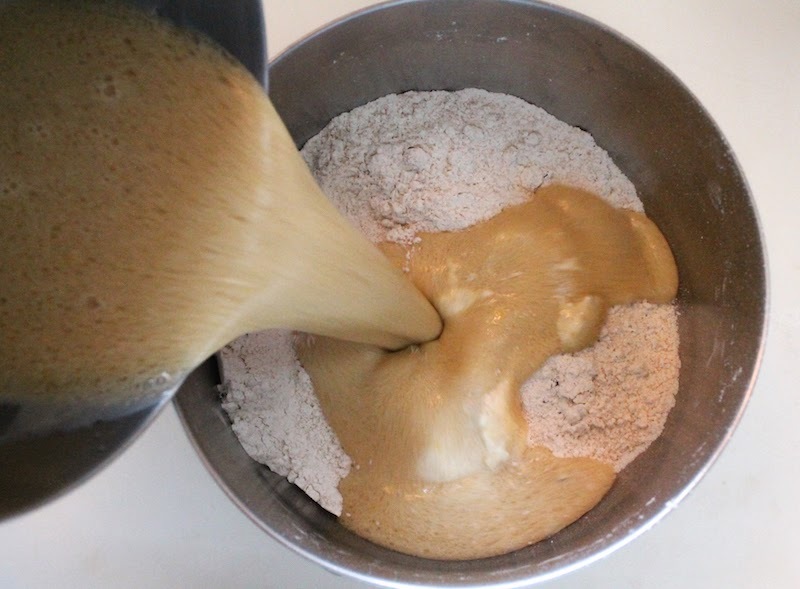 Whisk thoroughly to combine. 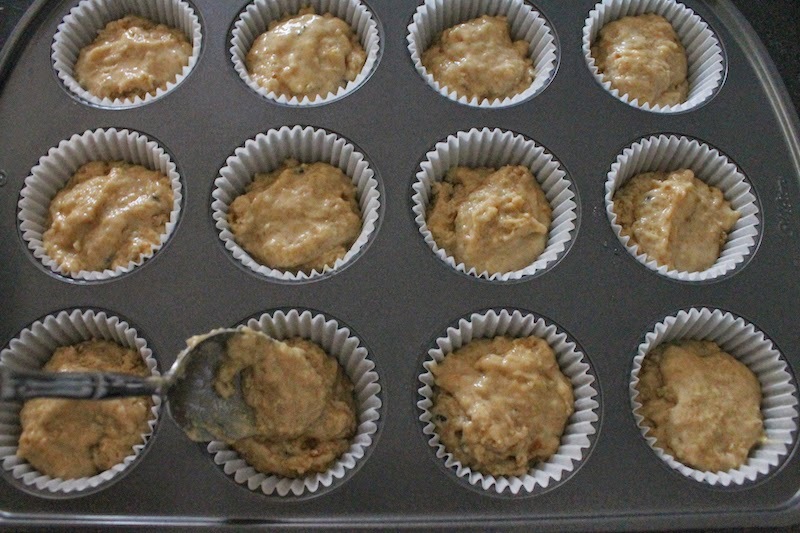 Divide the batter between your muffin cups in your prepared pan. 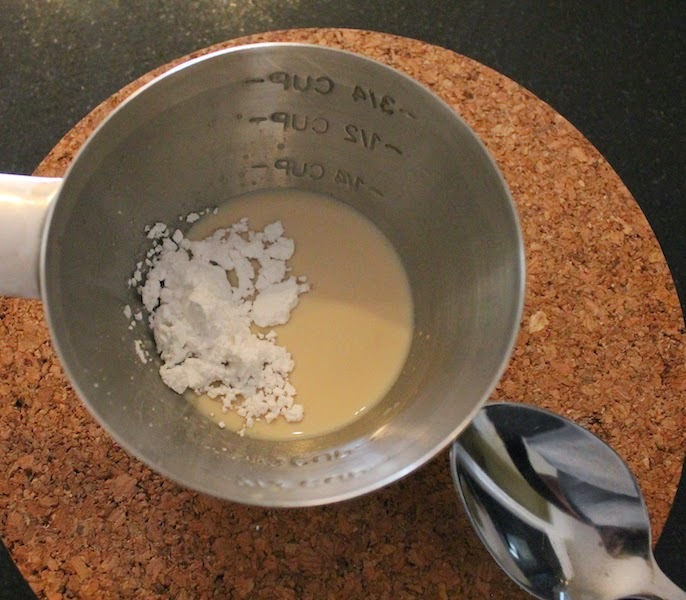 To make the glaze, add the powdered sugar to the reserved milk-infused tea one tablespoon at a time, stirring well in between, until you read a good drizzling consistency. 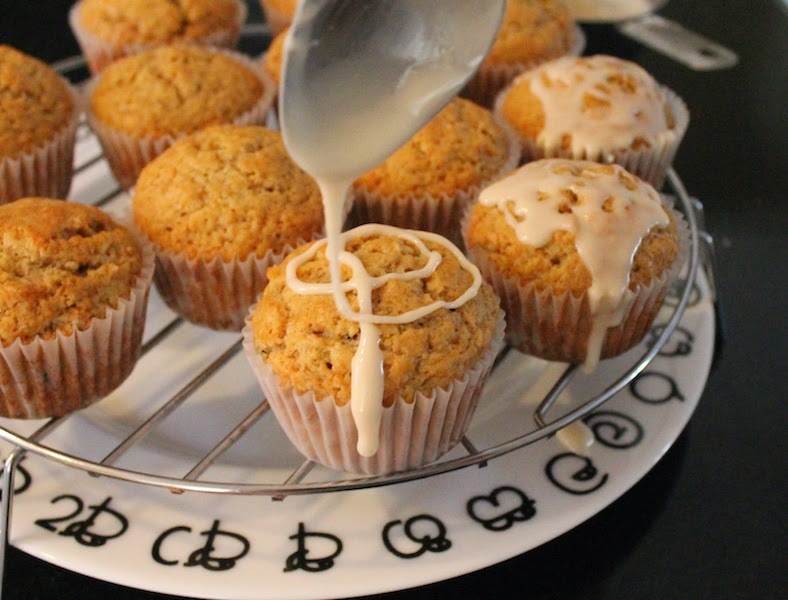 Drizzle the glaze over the muffins once they are cool. Sprinkle on a little pinch of loose tea to decorate, if desired.